Jupiter, Fla., formerly Walthill, Neb. 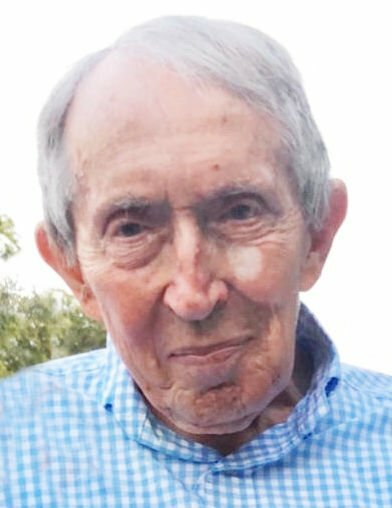 Edward Walter Racely, 90, of Jupiter, formerly of Cape Cod, Mass. and Walthill, passed away Wednesday, April 10, 2019, in Jupiter. Graveside services will be 11 a.m. Thursday in Evergreen Cemetery, Walthill, with military rites. Arrangements are under the direction of Munderloh-Smith Funeral Home in Pender, Neb. Edward was born on April 30, 1928, in Omaha, to Walter and Chapman (Rumsey) Racely. He was a lieutenant in the U.S. Marine Corps while serving in Korea from 1950 to 1952. He a longtime member of the American Legion Post 89 in Walthill. Edward graduated from the University of Nebraska in Lincoln with a degree in journalism in 1959, and later graduated from the University of Southern California with a master's degree. While in Lincoln, he was a member of Phi Gamma Delta fraternity. Edward married Judith Kalloch on Sept. 1, 1959, in Boston, Mass. and the couple had two children. He owned a hardware store and was a mortician in Walthill, before doing road construction. Edward lived an active life, he was an avid runner and cyclist, playing tennis in his younger years and later playing golf in his retirement. He also enjoyed playing the piano and listening to big jazz and ragtime music. Edward was a noted single wing historian, a type of football offence, which got him featured twice in Sports Illustrated Magazine. He was a member of the American Football Coaches Association and participated in the San Francisco Bay to Breakers race numerous times. He is survived by his wife, Judith Racely of Jupiter; son, Peter (Susan Marie) Racely of Jupiter; and daughter, Sarah (Robert) Marti and their son, Nicholas, of Palm Beach Gardens, Fla.
Edward is preceded in death by his parents, Walter and Chapman Racely. Memorials are suggested to the Parkinson's Research Foundation.